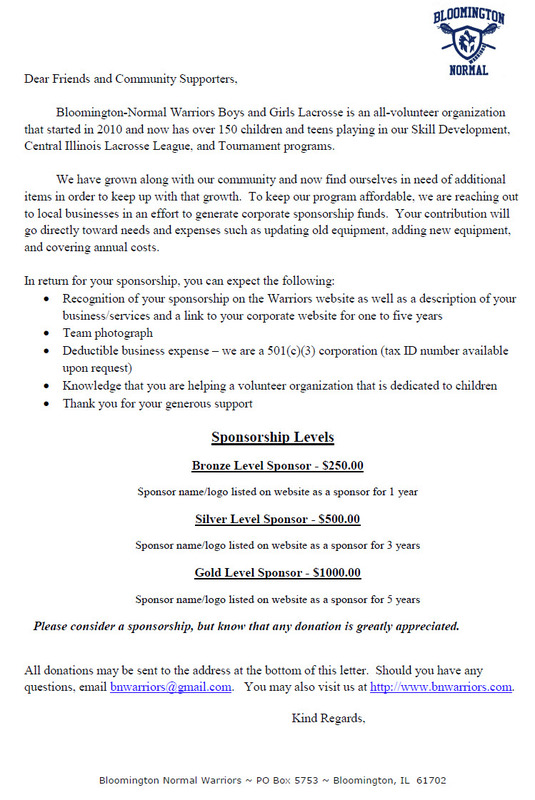 Sponsorship Rebate On Your Registration Costs! Our sponsorship drive has begun! You get a registration rebate on every gold, silver, or bronze sponsorship you bring in for the Spring Season! Gold Level Sponsor earns you a FREE registration. THATS $150 REBATE BACK TO YOU! Silver Level Sponsor earns you a 50% rebate on one registration. A $75 value! Bronze Level Sponsor earns you a 25% rebate on one registration. NO LIMIT per family! For example, if you have 2 players and you secure 2 Gold Level Sponsors, BOTH players will be rebated 100% of their registration. The rebate will be paid back to you April 1st. *** Please Note: Rebates only apply to monetary sponsorships that have been paid in full by March 15, 2016. Please use the links below for all of the materials that you will need.